(a) Find all the xed points, and study their stability. (b) Draw the phase portrait of the system, as well as the graphs of the solutions in all relevant cases. In particular, determine all the bifurcation values of , and describe the change in behavior before during and after each bifurcation. Make sure to draw the appropriate graphs! (a) Find a Jordan form of the matrix, as well as a basis that corresponds to that Jordan form. (b) Compute the exponential matrix eA. Note that he matrix of this system is exactly the same as in Problem 2. (a) Study the stability of the xed point (0,0): is it a source (all solutions diverge to 1 from it), sink (all solutions converge to it), saddle (any solution is either convergent to the xed point or diverges to 1), or neither? (c) Draw a phase portrait of your system in the unstable subspace. eld analysis (or any other information contained in the equations) to show stability/instability. (c) Use the information above to determine the bifurcation values for a, and draw the phase portraits for the system before, at, and after each bifurcation. 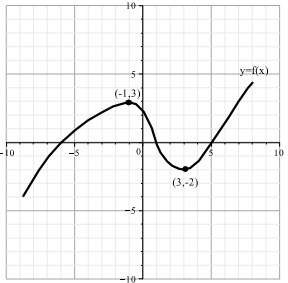 On phase portraits identify the xed points as well as their stable/unstable manifolds (curves) where appropriate. A jet travels 1686 mi against the wind in 3 hours and 2136 with the wind in the same amount of time. What is the rate of the jet in still air and what is the rate of the wind? 7 people from town B, and 5 people from town C. If a council consisting of 5 people is randomly selected, find the probability that 3 are from town A and 2 are from town B.